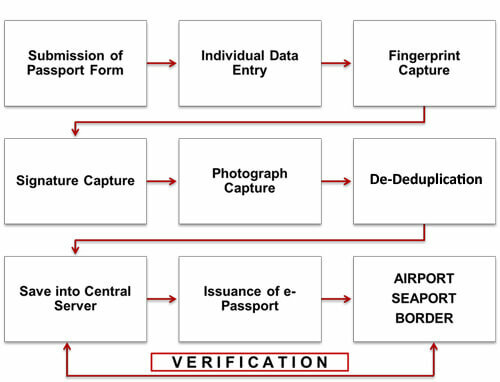 In an effort to more accurately authenticate the identity of travelers and increase the convenience and flow of airport and border security while maintaining privacy and the highest level of security, many countries are adopting ePassport programs which are a combination of paper and electronic passports that contain biometric identification information stored on an embedded microchip. Designed to be non-traceable, these ePassports contain protection mechanisms to avoid hacking and nefarious attacks that could compromise the chip data and a traveler’s right to privacy during the transmission of identity information between the chip and a reader. Crucial to the development of a safe, reliable and authentic ePassport program is the backend biometric identification database which determines the strength of a traveler’s identity and ultimately the reliability and integrity of the ePassport program. 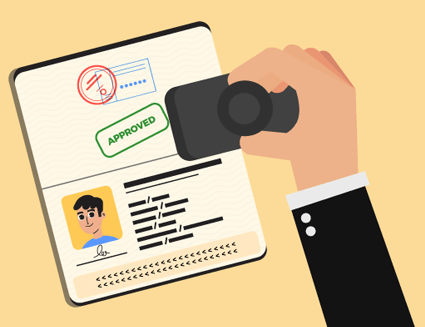 Implementing an ePassport program allows countries to drastically streamline trusted traveler screening at a high level of security and allocate more resources to verify the identities of unknown travelers. Even though most of these ePassport programs are voluntary opt-in, many travelers recognize the convenience inherent in using identity documents that are inherently more secure and offer a faster, more expedient way to move through airport security which is traditionally known for high traffic and frustrating delays. After research and assessment of several different biometric modalities, the currently standardized biometrics for ePassports are fingerprint , facial recognition and iris recognition. Working seamlessly as an identity assurance platform with a powerful and versatile architecture that has the ability to search millions of records per second to ensure fast response times, the M2SYS Automated Fingerprint Identification System (AFIS) technology delivers a reliable identity assurance platform, the backbone of any ePassport initiative.The M2SYS multi-modal automated biometric identification system (ABIS) allows ePassports to combine fingerprint identification with an iris or facial recognition modality creating an unrivaled level of security and protection against fraudulent identification papers. The M2SYS ABIS technology successfully combines our biometric capture and storage technology with an efficient management structure that contains the highest attainable security and traveler privacy protection. Whether you are an end user looking for a trusted ABIS system to launch an ePassport program or a software Integrator seeking a powerful biometric identification database with the ability to accurately search and identify travelers in seconds from millions or records, we have a solution that will fit your needs.